12.5 Miles from my front door is a National Park that visitors go to look at a pile of rocks and their surroundings. 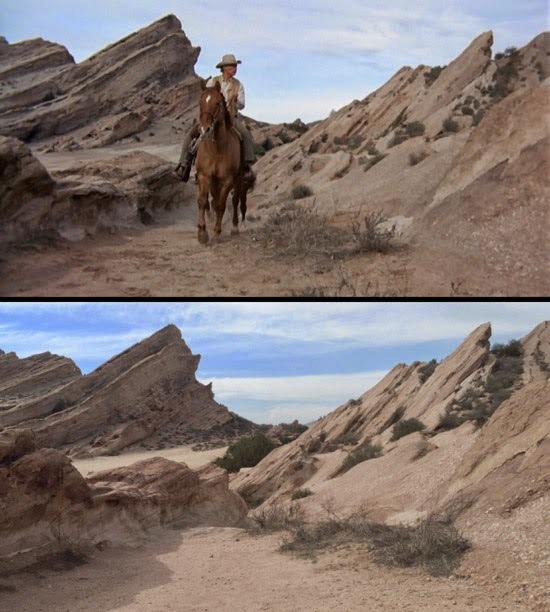 Most of my readers probably haven't heard of VASQUEZ ROCKS, but have seen them on the motion picture screen. Before I discuss some of the motion pictures made at that pile of rocks. I want to give my reader a little California history and the story of the Bandido the formations were named for. In an area that became part of Los Angeles County and is located 40 miles North of downtown Los Angeles. In 1769 Spanish explorers and settlers created an area of land they called "Alta California (Upper California)". Those residing in this area during the Spanish Period of 1769 into 1821 and the Mexican Period of 1821 into 1846 were known as "Californios". The name "Alta California" is misleading as it included what became the States of California, Nevada and Utah. Along with portions of Arizona, Wyoming, New Mexico and Arizona. In 1845 James K. Polk became President of the United States. He strongly believed in the principle of "Manifest Destiny" and viewed all the Mexican land north of the Rio Grande, American name, Rio Bravo, Mexican name, as a means of expanding the size of the country. On May 13, 1846 what became known as either the "Mexican-American War", the "Mexican War", or the "American Intervention in Mexico" began. To justify his actions President Polk used two main issues. The first actually occurred in 1836 when Texas succeeded from Mexico and for the next decade the Mexican Government demanded the land back. The second was the Mexican Government's complaints against American's illegally entering "Alta California" searching for Gold and other minerals. So for "The Protection of American Citizens". President Polk ordered American troops to cross into "Alta California". The Commander of the Mexican Forces during the War was Antonio Lopez de Santa Anna. A name associated with the 1836 Texas war of succession from Mexico. At the time of the "Mexican-American War" Santa Anna was not the President of Mexico as he had been when the battle of the Alamo took place, but would become Mexican President, once again, a year after this war ended. In all Santa Anna held that office 12 times between 1833 and 1855. On August 13, 1846 a force of U.S. Marines and Navy Bluejacket Sailors lead by Army Major John C. Fremont entered "Pueblo de Los Angeles". The largest city in "Alta, California" with a population of about 3,500. Fremont left only 50 men under USMC Captain Archibald H. Gillespie, his Second in Command, to hold this important Pueblo. There was a small revolt and the out numbered Americans pulled out. Resistance by the Mexican Citizens and Army in "Alta, California" mounted with the center remaining "Los Angeles", However, in January 1847 a force of over 600 Marines and Bluejackets returned to take "Los Angeles" and control the outlining areas surrounding it. On February 2, 1848 the war ended with the signing of a Peace Treaty. Known as either the "Treaty of Guadalupe Hidalgo", or by it's official name "Treaty of Peace, Friendship, Limits and Settlements between the United States of America and the Mexican Republic". President Polk got what he wanted and the United States now had "Friendship" between our two countries. About two weeks prior to the signing of the "Treaty" on January 24, 1848, at "Sutter's Mill in Coloma, California. James W. Marshall had discovered Gold and what became the California Gold Rush was on. Timing for President Polk couldn't have been better. During and following this period there were Mexican Bandido's that robbed the "Californio" landowners and the "Americano" miners and storekeepers. Probably the most widely known was Joaquin Murrieta Carrillo. Known by his middle name which was sometimes spelled either Murieta, or Murietta. Murrieta went to California, during the Gold Rush of 1849, to make his fortune as a miner, but instead turned to robbery an easier way. He became a major problem to the "California Rangers" formed in 1853 by a one time "Texas Ranger" Captain Harry Love. A famous reward poster was circulated about the outlaw. Who was actually inspiring the Mexican citizens of the area by resisting the "Americanos". Who had invaded and taken their "Alta California". On July 25, 1853 near the town of Coalinga. A group of armed Mexican men were encountered by "California Rangers". Three of the men were killed and it was claimed that two of the three were Manuel Garcia aka: "Three Fingers Jack" and Joaquin Murrieta. Joaquin's sister claimed the head that was shown to her was not that of her brother. Thus the myth of the greatest of California Bandido's began. 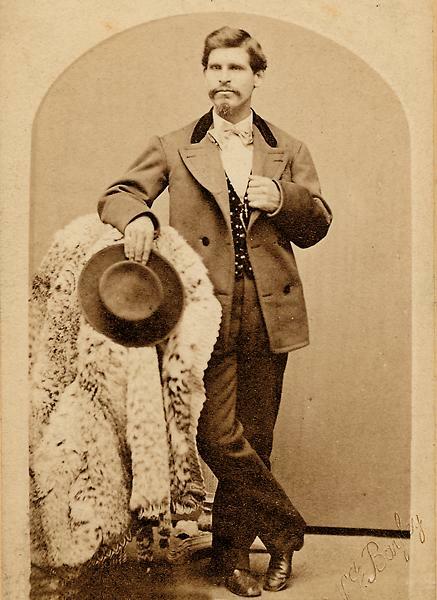 The first book on the mythic Murrietta was published in 1854 entitled "The Life and Adventures of Joaquin Murieta: The Celebrated California Bandit" by John Rollin Ridge. The myth would spread across the United States about the "Robin Hood of El Dorado". However, it was a serialized novel, the first part published August 9, 1919, by Johnston McCulley that added to the mythic proportions of Murrieta. The title was "The Curse of Capistrano" and the legend of Joaquin Murrieta took a name change to "Don Diego de la Vega". Who fought corruption both by the Mexican authorities and the Americanos and became the outlaw known as "Zorro". On July 17, 1998 Producers Doug Claybourne and David Foster blended the myth of Joaquin Murrieta and the fictional "Zorro" into the motion picture "The Mask of Zorro". Joaquin Murrieta's name remains part of California history. Right behind Murrieta was another of those California bandits and as famous. This was the man that pile of motion pictures rocks were named for and the following is a brief look at his life. The above photo is circa 1865 when Tiburicio was approximately 30 years old. His family had been in "Alta California" since the Spanish Expedition of 1776 led by Explorer Juan Bautista de Anza. When his Great-Great Grandfather arrived from Spain and settled in what was the Monterey Pennseula on the Pacific Coast. Tiburcio Vasquez was actually born on April 11, 1835 in Monterey as Jose Jesus Lopez. However, in accordance with Spanish Tradition his birth was celebrated on the feast day of his patron saint, St. Tiburitis, August 11, 1835. Over the years it was that second date that Jose would claim he was born on. Additionally, his family called themselves by the old Spanish term of "Californios" to distinguish themselves as above the "Mexicanos". A word hat the hated "NorteAmericanos" were using as a derogatory term. Jose was 15 years old when in 1850 California received Statehood. Jose's parents sent him to school where the boy became fluent in both Spanish and English. At the age of 19, in October 1854, the Young Man attended a local fandango with his cousin Anastacio Garcia. A fight broke out with "Americanos"from the East Coast. Who after the war had stayed in Monterey. During the fight Constable William Hardmount was killed. Who killed Hardmount depends upon your point of view. According to the "Mexican" witnesses neither cousin was involved in either the fight, or murder of Constable Hardmount. However, both fled the scene as Anastacio was a known outlaw/ A friend of Jose Jesus Lopez, Jose Higuera, was taken prisoner. but the same "Mexican" witnesses said he, also, was not involved in either the fight or killing. However, Higuera was lynched by "NorteAmericano" vigilantes the following day. According to the East Coast men and other "Americans" present. It was Jose Lopez who shot Constable William Hardmount in cold blood. During the gunfight that erupted Jose Higuera was wounded. Leading to his capture and hanging the following day by the legal authorities. Whichever story is true from this incident forward. Jose Jesus Lopez, became Tiburcio Vasquez and a member of Anastacio's outlaw gang. The two men became involved in what was known in Monterey County as the "Roach-Belcher Feud". The feud was between two land owners Lewis F. Belcher, known as "The Big Eagle of Monterey", and William Roach. When the office was created. Roach had been controversially elected the first Sheriff of Monterey County. William Roach had been a Sergeant in a New York Regiment sent to fight in the "Mexican-American War", but by the time they arrived the war was over. However, most of that regiment stayed in the rich land area of the Monterey Peninsula. These men, out numbering the other voters, elected their old Sergeant. The third man involved in the feud was a large "Californio" landowner named Jose Maria Sanchez. He had come to Monterey in 1830 and now, with all the Gold Mines established, was running horses from the mines to the town with the gold guarded by his men. His problem was his operation was moving between the two feuding men's land claims and at one point all three collided. Sanchez was caught between the killings carried out by the feuding Roach and Belcher. To protect his property Sanchez hired Anastcio Garcia's gang. Eventually Garcia was captured, jailed and executed by the Monterey County Sheriffs under the command of Roach. As to this period of his life and later. Tiburcio claimed he was defending "Californio/Mexican" rights against corrupt "NorteAmericanos". 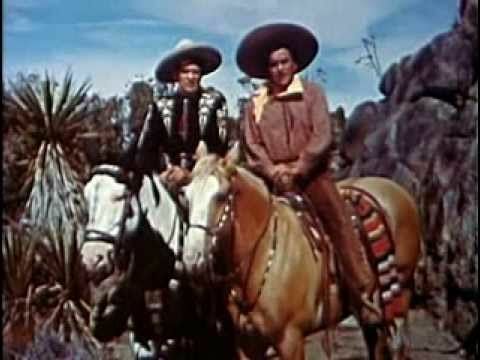 To the Mexican population of what was now called "California". Vazquez was a hero standing up to the "NorteAmericanos". To those "NorteAmericanos" he was a brazen robber, horse thief and killer. In 1856 while stealing horses he was caught by a posse near Newhall, Californa. Where I live as I write this article. Vazquez spent the next five years of his life in San Quentin Prison. I mentioned "Sutter's Mill" and the California Gold Rush, but the first documented discovery of gold in "Alta California" occurred in 1842 by Francisco Lopez. This was in Placerita Canyon located five minutes south of my home, by car, off the 14 Freeway. In 1851 Henry Newall, a San Francisco Land Developer, purchased Spanish Land Grants for what is the current Santa Clarita Valley. This included Placerita Canyon and the area Tiburcio Vasquez was captured bearing Newhall's name. Henry Newhall paid $2 an acres the equivalent of $59.84 an acre today. To give my reader an idea of how far Tiburcio Vasquez operated. The distance between the city of Monterey in Monterey County to Newhall, in Los Angeles County is 314 miles in a straight line. While in San Quentin Tiburcio help organize four very bloody prison breaks that left 20 convicts dead. After finally being released Vasquez returned to robbery and in the community of Petaluma, in Sonoma County, located 37 miles north of San Francisco. Tiburcio Vasquez was once again captured in 1866 robbing a store. He returned to prison for another three years. In 1870 just after being released from prison Vasquez reorganized a gang and started once more attacking "NorteAmericano" places of business and the stage line carrying the gold shipments. After a robbery, in Santa Cruz, in which local Police Officer Robert Liddell shot him. Tiburcio Vasquez went to his sisters who tended to their brother and hid him from authorities. Three years later in 1873 Vasquez gained Nationwide notoriety for a robbery and the murder of three innocent people. That just happened to be purchasing goods at "Synder's Store" in "Tres Pinos". A very small community in San Beinto County in Norther California near San Jose. A reward of $1,000 dollars was placed dead, or alive. That amount may seem small today, but it would equate to $20,787 in 2017. In 1874 Tiburcio Vasquez robbed the area from the city of Monterey to the city of Los Angeles. During this period his gang would hide out in the Soledad Canyon area of the Santa Clarita Valley on land owned by Henry Newhall and part of the Sierra Pelona Mountain Range. Slightly further north of Soledad Canyon were a group of rock formations near the present day community of Aqua Dulce. These rock formations provided excellent opportunities for being unseen by the posse's that followed Tiburcio into them and would eventually be named "Vasquez Rocks". On May 5, 1874 Tiburcio Valdez was hiding at the adobe owned by Yiorgos Caralambo known as "Greek George". It was here that he was finally captured by a posse from Los Angeles. His capture came after "George's" wife betrayed Tiburcio to Sheriff William R, Roland. The present day location of "Greek George's" adobe would be on Melrose Place near Highland Avenue in West Hollywood. The following map shows my reader the location of "Greek George's" adobe. When his property was on Rancho LaBrea. The mountains, such as they are today, are were Universal Studios, Hollywood is located and Studio City along Cahuenga Boulevard. 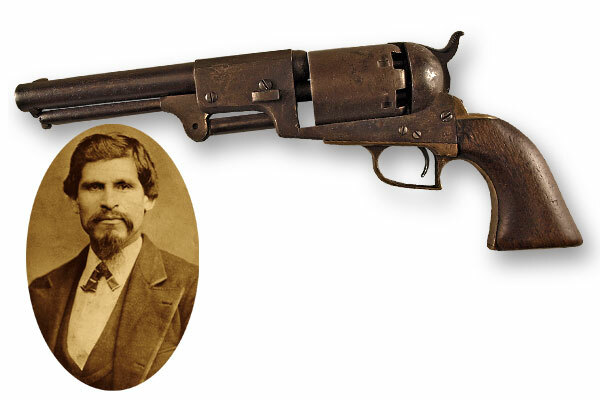 On March 19, 1875 the man known to history as "The Scourge of California" was hanged in San Jose, California..
Below the actual colt pistol of Tiburcio Valdez and a trunk and knife found at the adobe belonging to the outlaw. Depending on whose list you look at of all the motion pictures and television programs filmed at Vasquez Rocks you learn two things. "One" is that amount is very large and "Two" that some lists have features not found on the others. So how many actual productions have used the site is really unknown. I am not attempting to list every project filmed at he rocks and, frankly, there are also many student and Independent features we know were done there also. What I will be giving my reader is an overview of those motion pictures and television programs shot at the outlaw's hide away. "The Rocks" as the formations were originally called are located in Aqua Dulce. In the 1860's gold miners arrived in the area and others wanting to work the Borax mines. Although Sutter's Mill is always mentioned when speaking and the gold rush that followed. The richest gold deposits were found in Aqua Dulce, Placerita and Soledad canyons. Because Tiburcio Vasquez was still using the area as a hide out and would continue up until his capture 15 years later. There must have been some accommodation made between the Outlaws and the Miners. Although the total area of what is known now as "Vasquez Rocks" covered 932 acres. A man by the name of Henry Krieg came to the area to work the nearby Borax mines in Tick Canyon. On June 27, 1919 a "Homestead Act" was passed by the United States Congress and Krieg homesteaded 240 acres of "The Rocks". Henry Krieg discovered a side business and charged people 25 cents to visit the site Tiburcio Vasquez had used for a hide out. A more lucrative business opportunity next presented itself to Krieg. 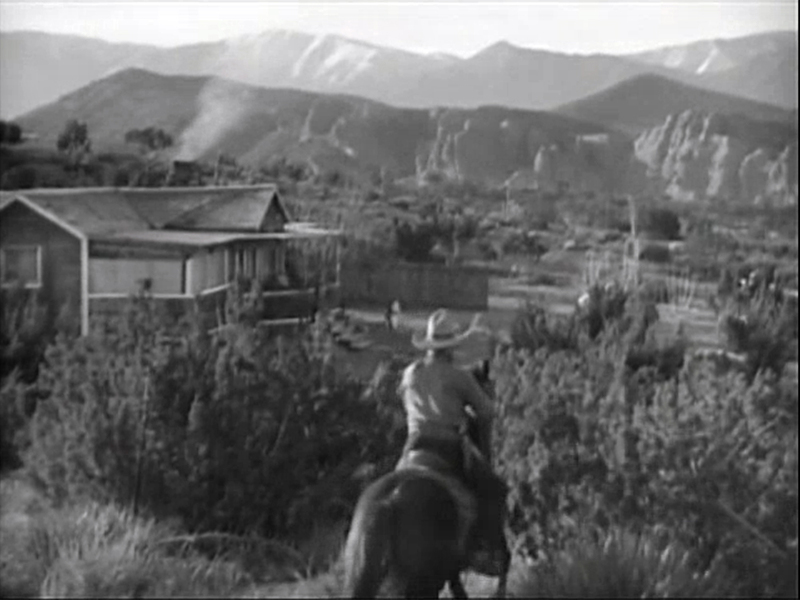 Universal Pictures was one of the first Hollywood movie studios to look for locations to film their Westerns. The studio paid Krieg to film on his acreage. As a result Harry Carey. future mentor of John Wayne and father of actor Harry Carey, Jr., starred in the first motion picture filmed at "The Rocks" entitled "Human Stuff" released June 28, 1920. This was the story of "James 'Jim' Pierce" who buys an old run down ranch and instead of raising cattle. "Pierce" starts to raise sheep which will lead to a war with the cattle ranchers. 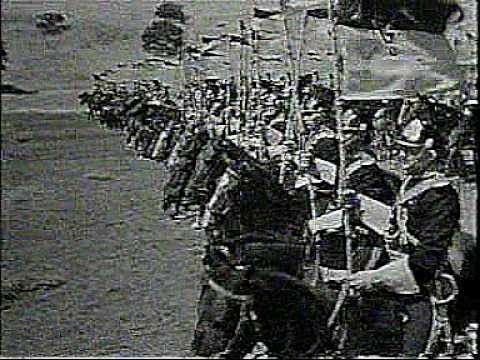 Another early Western filmed at 1926 was "The Last Frontier". This picture appears to be the first Western starring William Boyd the future "Hopalong Cassidy". The above surviving lobby card shows a scene filmed at "The Rocks". 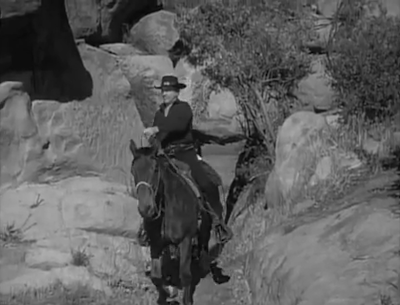 I also want to mention another of the many silent Westerns filmed at "The Rocks". This was the 1928 motion picture "Beyond the Sierras" and starred "Colonel Tim McCoy". 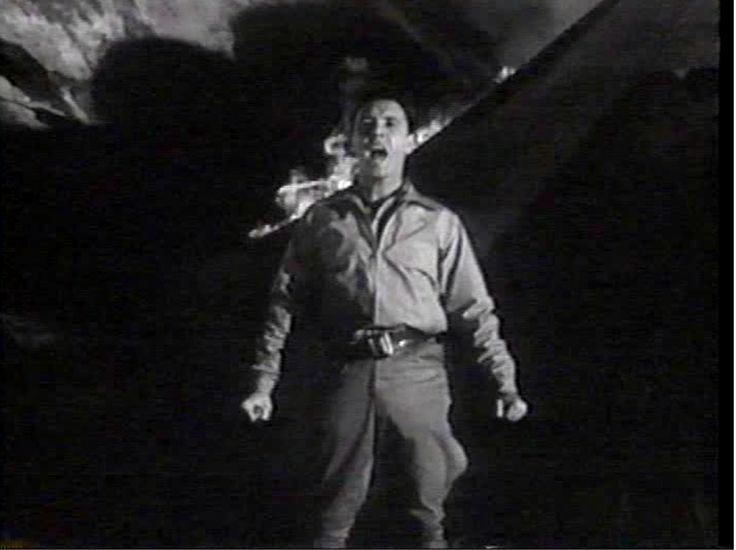 McCoy plays an American Government Agent sent into "Alta California" before California Statehood. When American land thieves were stealing Spanish Land Grants from "Californio" land owners. What makes this film interesting is that McCoy's character is not named other than "The Masked Stranger" and he dresses just like "Zorro". See the poster below. Other than 1920's "The Mark of Zorro" starring Douglas Fairbanks, Sr. There had been no film, too date, using the "Zorro" concept associated with Joaquin Murietta and to some historical extant Tiburcio Vasquez from an "Alta California" Mexican perspective toward the "NorteAmericanos". 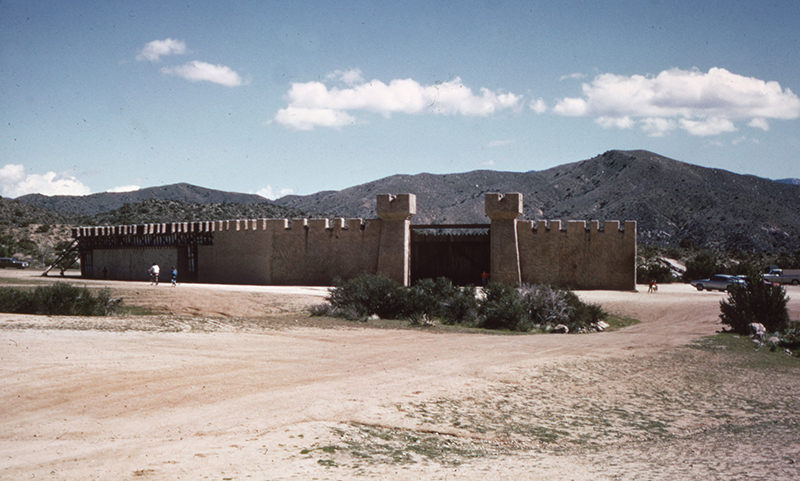 During the "Great Depression" "B" Westerns were a staple for Hollywood studios and location shooting at Vasquez Rock and Aqua Dulce was part of these films production for realism. Even if the area became Montana, Arizona and even Texas.. In 1931 Buck Jones was "The Texas Ranger" and in 1933 Tom Keene was the "Son of the Border" seen in the still below of Aqua Dulce. 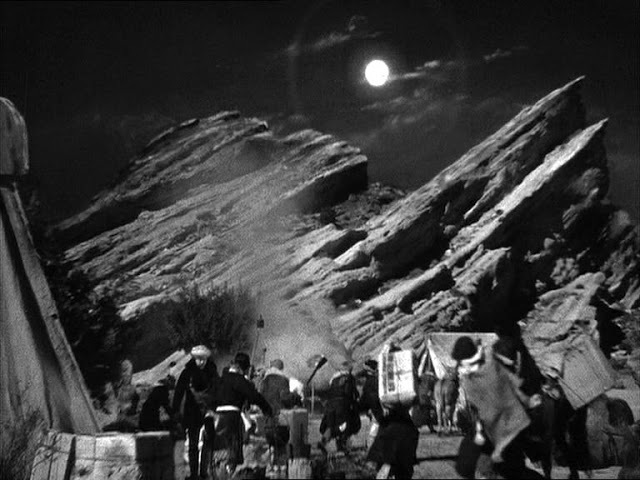 Universal Pictures was the first motion picture studio to use Vasquez Rocks as a backdrop and now they became the first studio to realize the area could be a foreign country on film. The motion picture was Todd Browning's 1931 "Dracula" starring Bela Lugosi and the country, of course, was Transylvania. 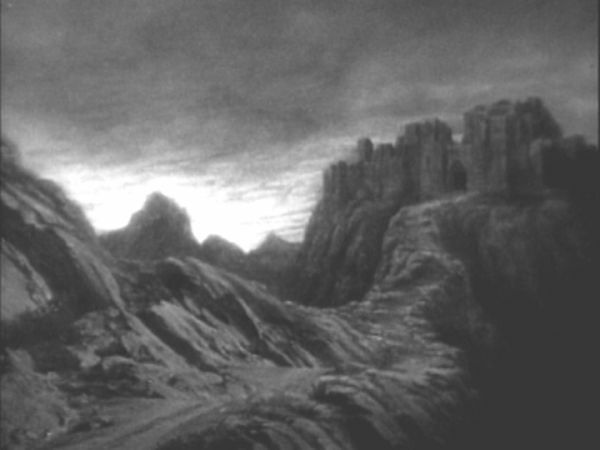 The first still below is a combination of Dracula's coach moving through what was still called "The Rocks" and a matte drawing of the rocks making them look larger than reality. The second still is a perspective matte shot made to enlarge the formations as the "Borgo Pass". 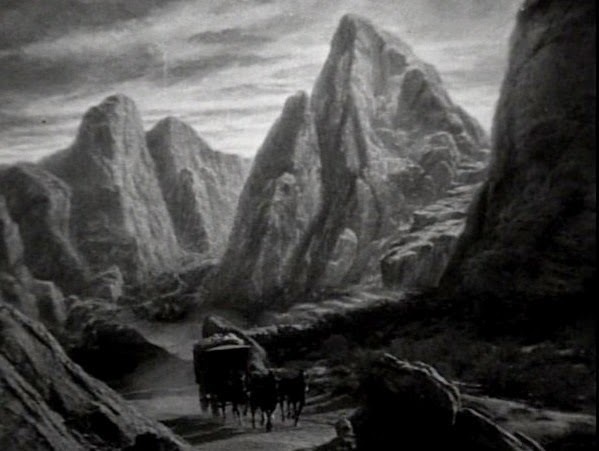 Stage built rocks and a matte drawing of "The Rocks" was also used by Universal Pictures for a scene in the 1931 "Frankenstein". In 1933 Mary Pickford, "America's Sweetheart", and Leslie Howard, "Ashley Wilkes" in 1939's "Gone With the Wind", starred in "Secrets". The story is about a young women who goes against the wishes of her parents and marries the man she loves. The two go to California and become ranchers. At one point they have a child, but the baby dies. Pickford hated what the film looked like and bought up all the prints and destroyed them. 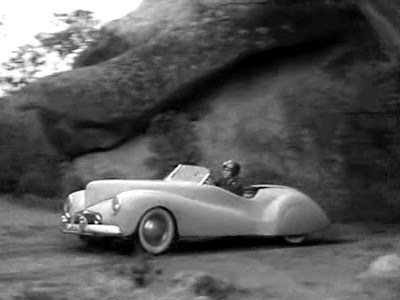 In 1935 Producer Stanley Bergerman suggested, by name, that Vasquez Rocks could be used as Tibet for the opening sequences of his motion picture "The Werewolf of London". 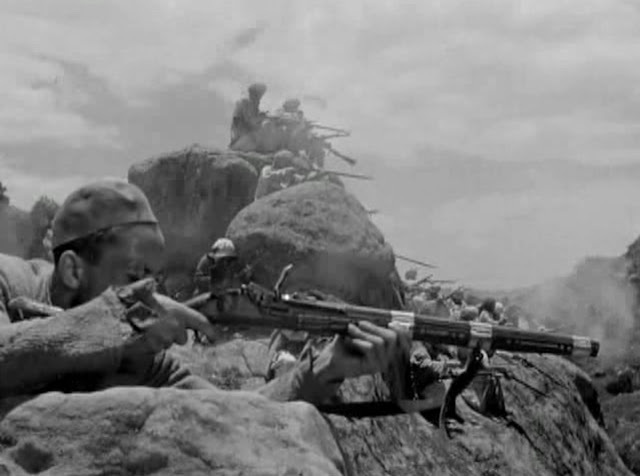 This is considered the first motion picture shot at the recently renamed area. When between 1933 and 1935 the change in names actually occurred I could not locate, or the reason. The following still is from Bergerman's film's opening. The real potential of Vasquez Rocks being used as a Foreign County occurred the following year. 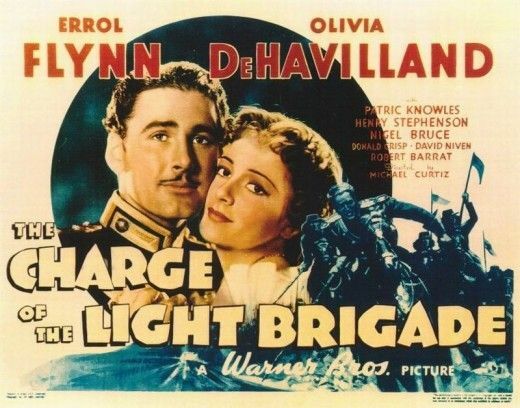 When Warner Brothers released the Michael Curtiz Directed "The Charge of the Light Brigade" starring Errol Flynn and Olivia DeHavilland on October 20, 1936. The picture takes place in both India and the Black Sea port of Sevastopol,controlled by the Russians during the Crimean War. Historically the title action was a mistake that takes place at the Russian fortified pass of "Balaclava". Below some of the scenes shot at Vasquez Rocks and its surrounding area. Trivia: Because of the number of horses killed in this picture from the use of tripwires. The U.S. Congress became involved over the safety of animals in motion picture's. The ASPCA filed a lawsuit resulting in the banning of the use of tripwires in American productions. After the initial release of the motion picture Warner Brothers removed the film from circulation. 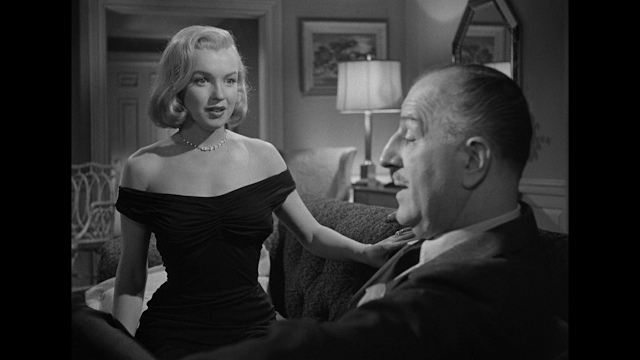 It would be 20 years later, in 1956, when the film reappeared on television and only because Associated Artist Productions now owned the rights. 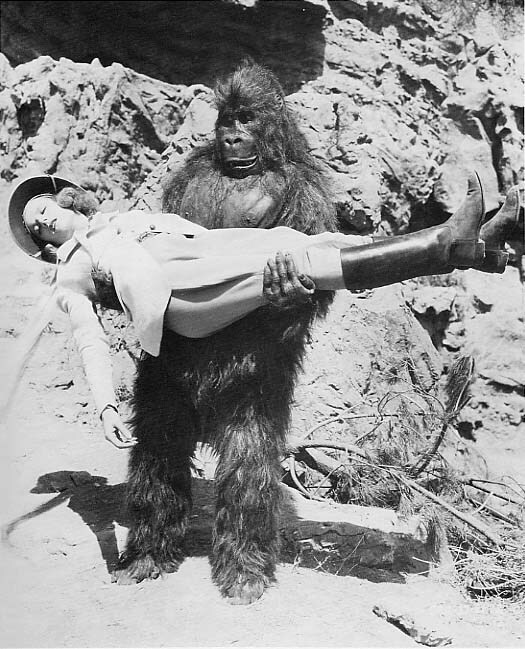 On December 27, 1937 Universal Studio's released the 12 Chapter serial "Tim Tyler's Luck" were somehow Vasquez Rocks became "Darkest Africa" and the heroine is captured by a gorilla. 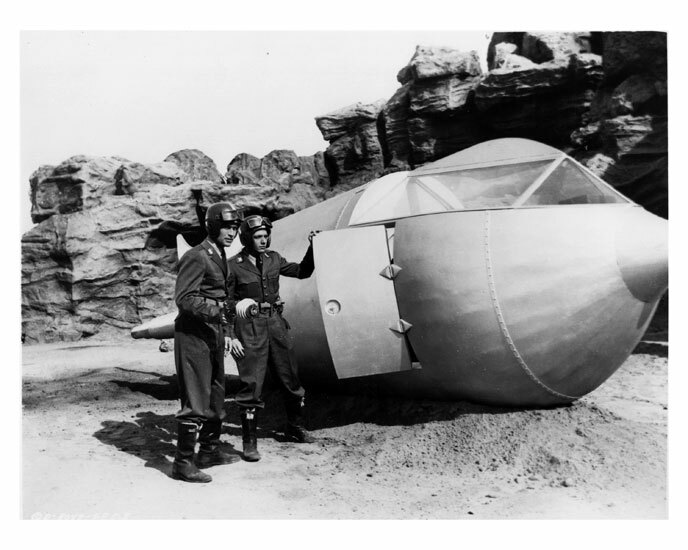 Republic Pictures like many studios shot at both Vasquez Rocks and the Iverson Movie Ranch at the time. One serial they produced at both locations was the 12 Chapter "The Lone Ranger Rides Again" released February 25, 1939. 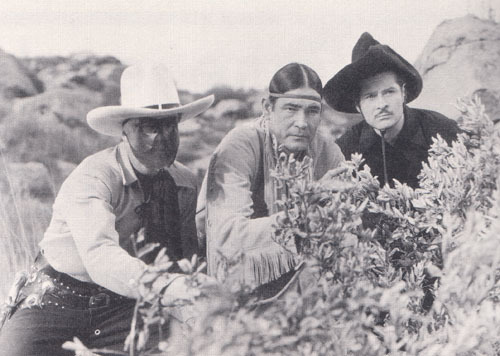 That's "B" Cowboy actor Robert Livingston on the far left as the title character and Victor Daniels as "Tonto". Daniels used the stage name "Chief Thundercloud" and claimed to be either Cherokee, or Cree depending upon whom he was speaking too. He was neither. Television's "Tonto", Jay Silverheel, was pure Canadian Mohawk. On April 5, 1940 Victor Mature, Carol Landis and Lon Chaney, Jr. starred in a motion picture turning Vasquez Rocks into "One Million B.C.. The outlaw's hideout was a natural set for a prehistoric world. 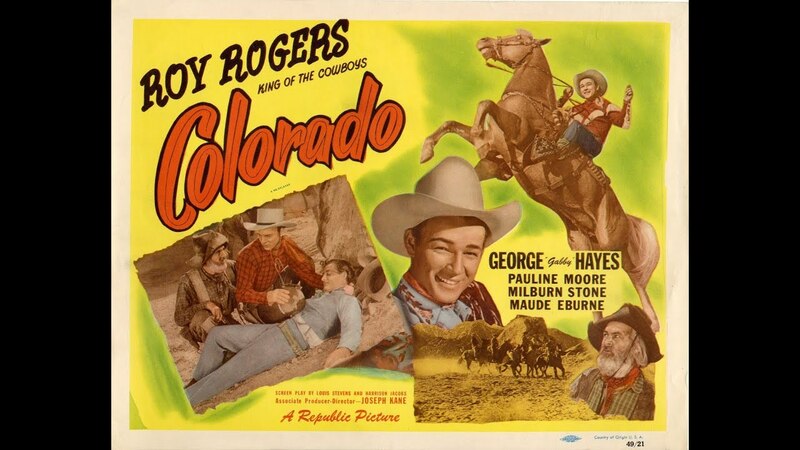 Also in 1940 Roy Rodgers the "King of the Cowboys" had problems to deal with in the State of Colorado. Look at the lower right hand corner of the following poster and Colorado looks a lot like Vasquez Rocks. Considered the best Chapter Serial ever made was Republic Studio's 1941 12 Chapter Serial "The Adventures of Captain Marvel". 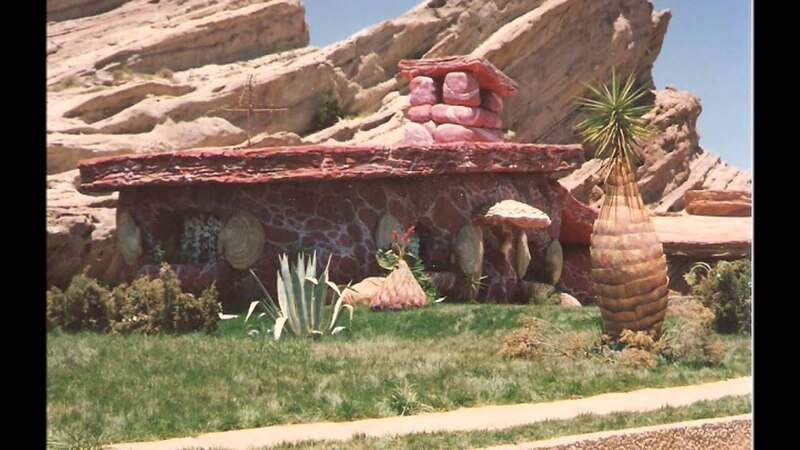 Although basically shot at the Iverson Movie Ranch portions were also shot at Vasquez Rocks. The serial was based upon the original "Captain Marvel" and not the Marvel Comics "Captain Marvel". The serial became involved in a legal battle with the creators of "Superman". 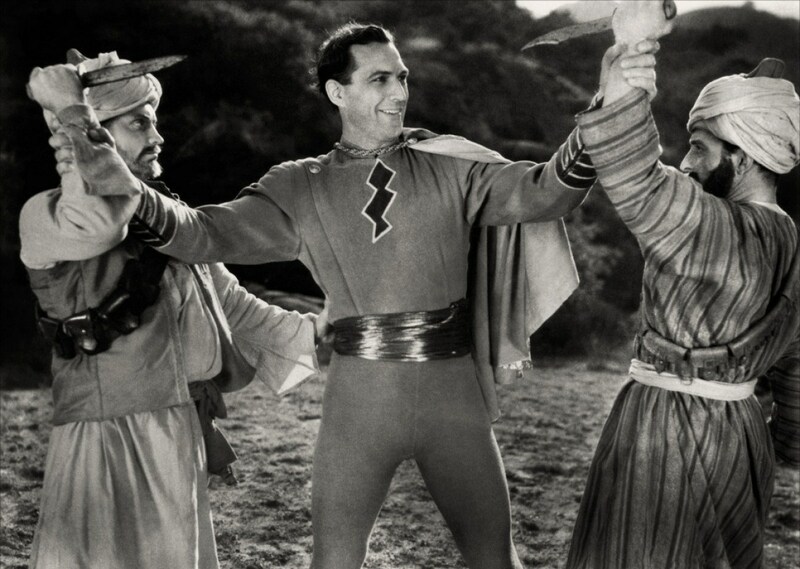 Below Frank Coughan, Jr. says the magic word "Shazam" that turns him into "B" Cowboy actor Tom Tyler's title character. 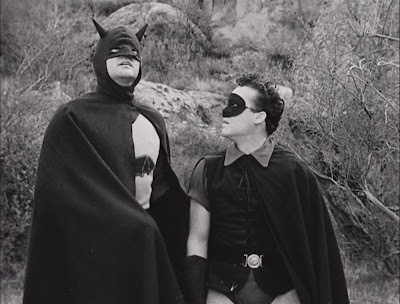 Columbia Pictures shot the original 1943 15 Chapter Serial "Batman" at both Vasquez Rocks and Iverson Ranch. They did the same with the sequel 1949's 15 Chapter Serial "Batman and Robin". In 1951 Judd Holden had been radio's "Captain Video: Master of the Stratosphere" from Columbia Pictures. It was produced by Sam Katzman who made both "Superman" serials and the above "Batman and Robin" for Columbia. Another 1952 Sam Katzman production for Columbia Pictures was "Thief of Damascus". Although Paul Henreid, 1942's "Casablanca" and "Now Voyager", was the star. Helping him was "Sinbad" portrayed by Lon Chaney. 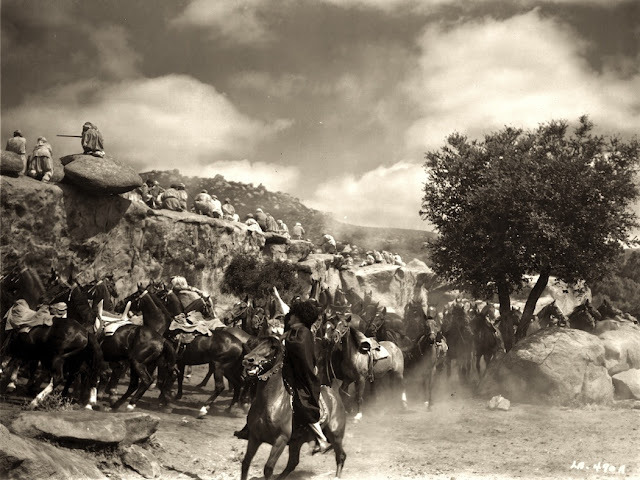 Jr.
On March 1, 1952 Rex Allen and his horse Koko starred in a Western from Republic Pictures that used Vasquez Rocks even in the opening credits and most of the picture. 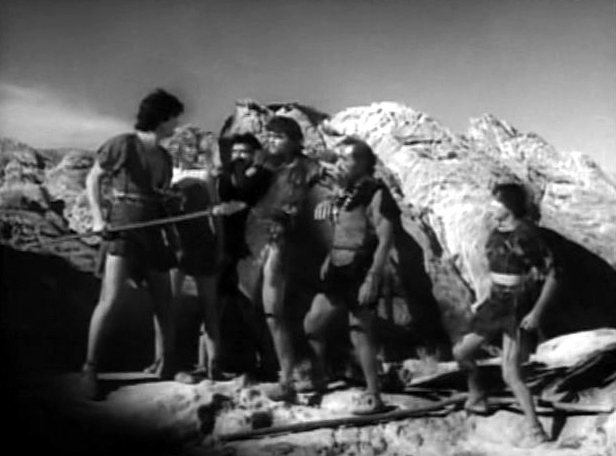 In 1953's "Slaves of Babylon", with a little help from a matte, turned Vasquez Rocks into a fortress. 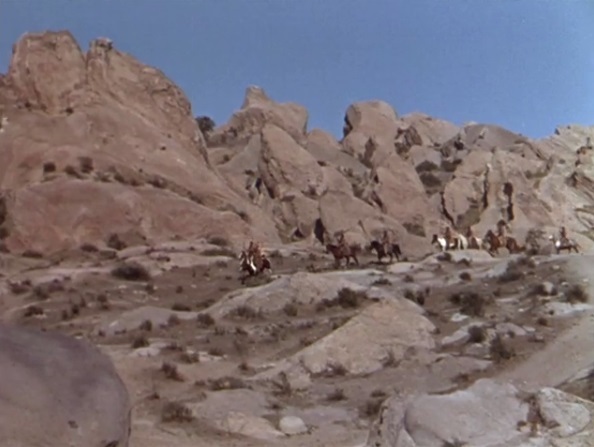 On June 30, 1953 Guy Madison led "The Charge at Feather River" and Vasquez Rocks was seen in 3-D. I never knew that "Mount Sinai" was actually located in Los Angeles County and not the State of Israel in 1956. 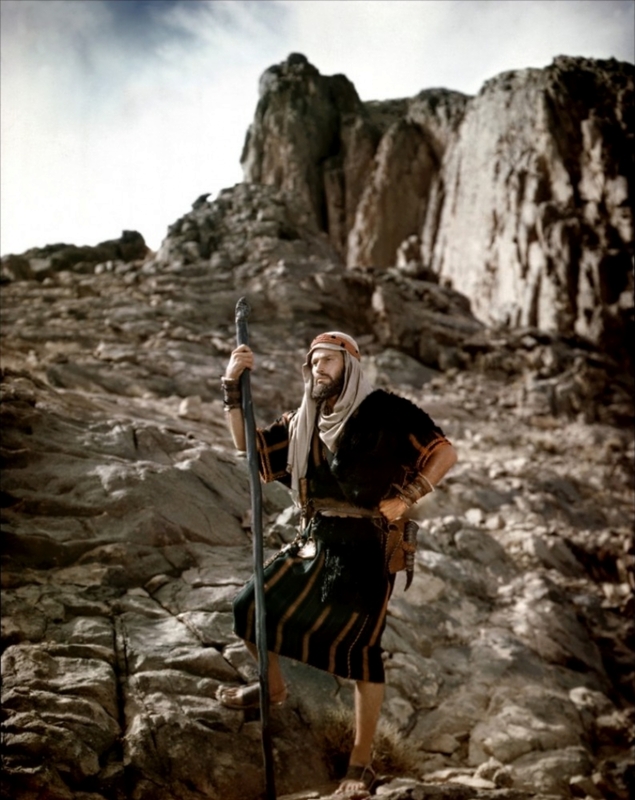 Above Charlton Heston as "Moses" in Cecil B. DeMille's "The Ten Commandments" stands starring at Sinai. In the new medium of television Vasquez Rocks was being used as a back drop for almost every 1950's Westerns at one time, or another. 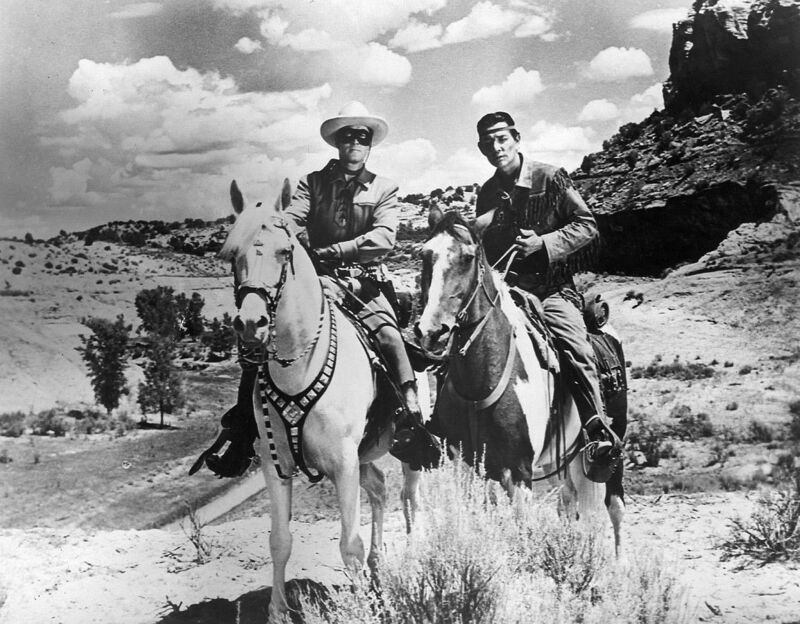 "The Long Ranger" and "Tonto" rode the American West without leaving Aqua Dulce for many sequences, but the weekly title scene was shot at the "Iverson Movie Ranch". Inverson was in an area of the San Fernando Valley called Chatsworth, but would not become part of today's community of that name.. In fact two other major movie ranches were located in the same general area of the Santa Susanna Mountains on the North End of the San Fernando Valley. They were the "Spahn Ranch". Now mainly known for letting Charles Manson and his followers live and work there and "Corriganville", Which was owned by "B" Cowboy actor Ray "Crash" Corrigan. The area that contained all three movie ranches is now called Simi Valley and touches the San Fernando Valley at the point of the old Chatswroth boundary. 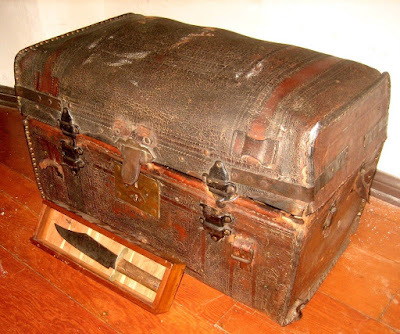 "Have Gun Will Travel" found Richard Boone's "Paladin" in many episodes at Triburcio Vasquez's hideout. 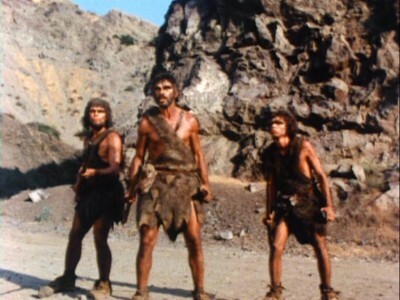 I'm sure my reader remembers the 1974 television show "Korg: 70,000 B.C." that lasted for 19 episodes. I'm not going to bore my readers with all the motion pictures and television series Vasquez Rocks has seen, or been animated in. However, here a just a few more examples. A similar thing happened in 1994 when John Goodman, Elizabeth Perkins, Rick Moranis and Rosie O'Donnell where "Fred", "Wilma", "Barney" and "Betty" in the motion picture "The Flintstones". For that production Vasquez Rocks became "Bedrock". 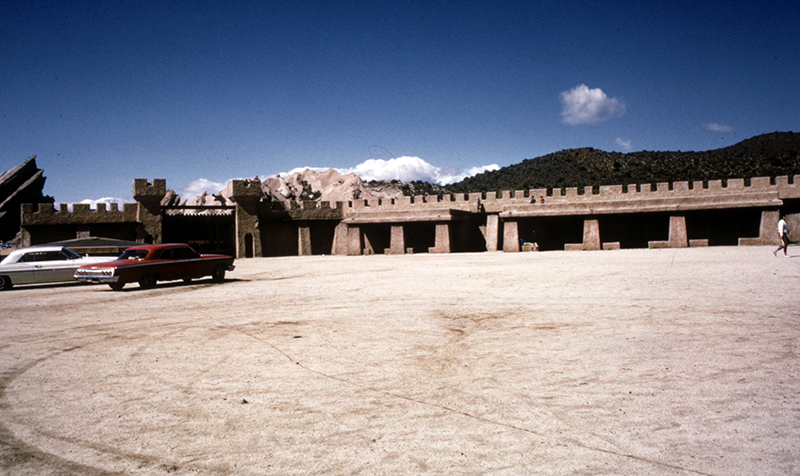 After the movie shoot ended the sets were left standing as a tourist attraction. 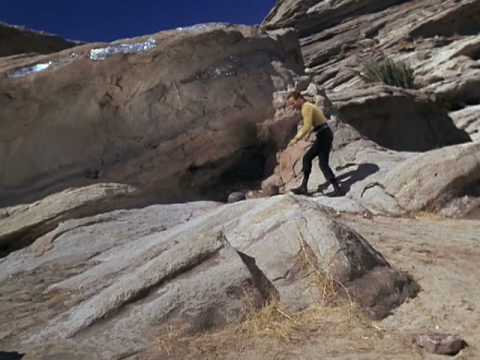 "Trekkies" have seen the formations used in both the different television series and motion pictures, but there is one original episode that is considered classic. "The Arena" premiered on January 19, 1967 and had "Captain James Tiberius Kirk" fight the "Gorn". 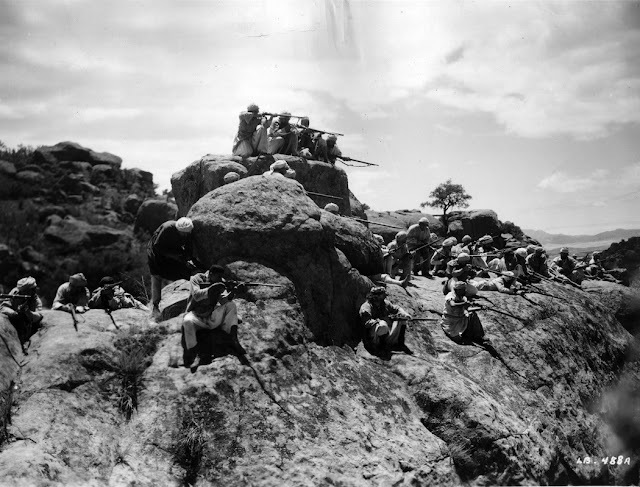 The structure in the following still from "The Area" is actually the interior of the fort from "Tales of the 77th Bengal Lancers". Below is "Spock" from the motion picture "Star Trek IV: The Voyage Home". I never knew the planet "Vulcan" was only 12.5 miles from my house. The following still is from the animated series "Futurama" and parodies "Star Trek". They also have the scene set at Vasquez Rocks. One of the things my fellow blogger does is compare a movie scene with the actual location. The upper still is of Lee Van Cleef in the film and the bottom still is the actual site at the time the blogger photographed it. 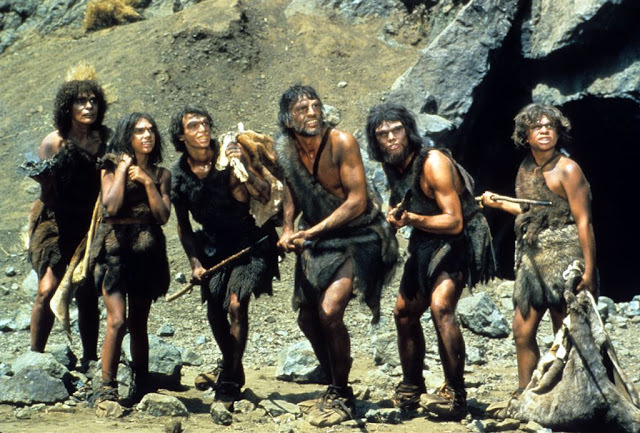 Lets not monkey around with the following scene from the 2001 Tim Burton version of "The Planet of the Apes" with the rock formations in the background. On April 24, 1954 during the first season of the television show "Stories of the Century" starring Jim Davis as "Railroad Detective Matt Clark". 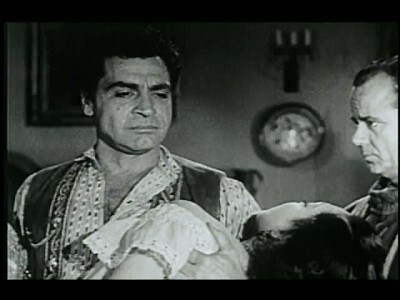 Actor Anthony Caruso appeared in the 14th Episode entitled "Tiburcio Vasquez. The 13th Episode, interesting enough, was about "Joaquin Murrietta". These 25 minute shows were very loosely based upon real events incorporating the Jim Davis character in the plots. His partner in the first season was "Frankie Adams" played by actress Mary Castle. Tiburcio Vasquez vows vengeance against Anglos after his sister Dolores is killed. Matt and Frankie try to stop his years of terror in Southern California after a railroad agent is killed with the help of the local padre. Such was the life of the "Scourge of California" boiled down to a syndicated television series. On September 10, 2016 "The Western Stage" in Salinas, CA debuted the play "Bandido! The American Melodrama of Tiburcio Vasquez, Notorious California Bandit" by Luis Valdez. California history tied to the motion picture and television industry. That is part of the story of the Outlaw Hideout known as VASQUEZ ROCKS.